Does your house need a mailbox? Or, do you just want to replace your current mail drop box? Whatever the reason, we have the selection to make your home mailbox unique. Small or large orders, anything can be handled here. Made of electo-galvanized steel, Salsbury 4700 series mail houses include a stainless steel mail flap. Mail houses can be surface mounted, mounted on standard bolt mounted mailbox posts (#4765), standard in-ground mounted mail box posts (#4795) or attached to a base of your choice. Units are accessed from the front through a 13'' W x 9'' H locking door and feature a durable powder coated finish available in four (4) contemporary colors. A non-locking thumb latch (#4788) is available as an option upon request. Mail houses may be used for U.S.P.S. residential door mail delivery. Master postal lock not required. 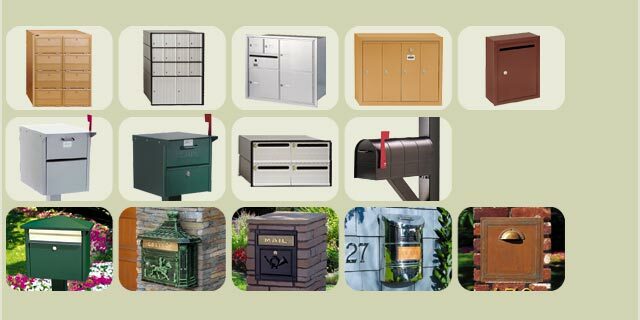 We hope that you will join us at mailboxes.com to view our entire selection of letter boxes.